The sleek, precision-crafted HP Spectre x2 offers the benefits of an Ultrabook™ and a convenient tablet in a single, sophisticated design. The detachable screen and cutting-edge technology deliver a no-compromise combination that will meet and exceed your every need. 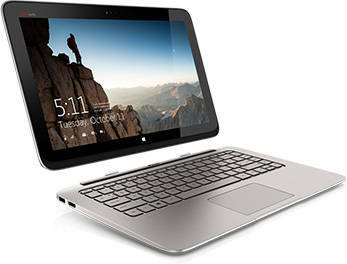 The thinnest and lightest detachable from HP, it goes where you go. A state-of-the-art fanless cooling system delivers silent, smooth operation. Bright, backlit keyboard delivers a brilliant typing experience – day or night. BeatsAudio™ is designed for the best-sounding, richest audio on a PC.